Home | News | Discover Friuli: Trieste, Udine and Pordenone. It’s raining outside and you do not know where to go? Do you want to discover the Friuli area? We suggest you to discover Friuli: Trieste, Udine and Pordenone. Is it raining outside and you do not know what to do? Trieste is a good solution and will give you many opportunities to spend a beautiful day: museums, a visit to the caves or the castle, shopping and the inevitable coffee. The wonderful Grotta Gigante is definitely one of the most visited and fascinating place of Trieste. The Museum of Natural History is one of the most important museums of the city and definitely worth a visit. Museum Revoltella for lovers of modern art. The Cathedral of San Giusto is the most important religious building in Trieste. Miramare Castle and a visit to the exhibition to the painter Ippolito Caffi, including in the ticket price. We recommend the itinerary of the historic cafes, which includes, for example, the beautiful Caffè degli Specchi in Piazza Unità d’Italia , Coffee Urbanis in Piazza della Borsa and Coffee Torinese Corso Italia. And to complete the day, a stop at the shopping center “Le Torri d’Europa” or “Tiare Shopping”. If you want to visit Udine we recommend a walk along the arcades and the visit to the three most important museums: the Civic Museums and Galleries of History and Art in the stunning castle where you could admire the beautiful panorama of the city. The castle hosts the Archaeological Museum, the Gallery of Ancient Art, the Gallery of Drawings and Printing, the Friuli Museum of Photography, the Museum of the Risorgimento and the Photo Library. Casa Cavazzini, Museum of Modern Art and Contemporary Art, and Palazzo Giacomelli, ethnographic museum of Friuli. We recommend buying the ticket only cost 10 euro to visit the three museums. 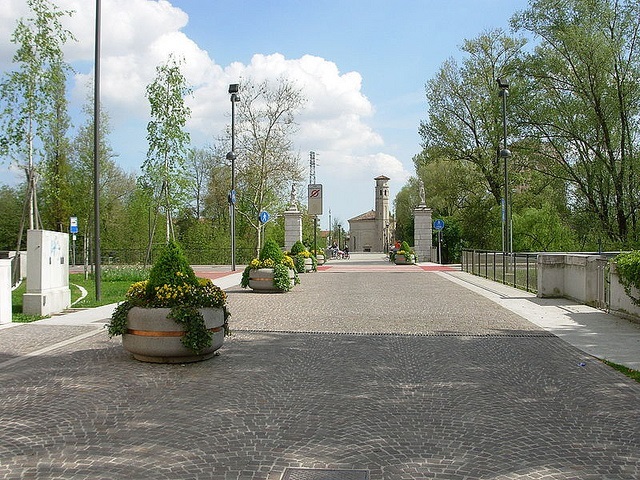 If you want to shop and if you have children, we recommend the shopping center “Città Fiera” where you could find many shops, restaurants and a playground for children. Another beautiful city of Friuli is Pordenone, here we recommend a visit to the main museums: the Archaeological Museum of Western Friuli, the Gallery of Modern and Contemporary Art, Science Centre Immaginario Scientifico and Palazzo Ricchieri. As a meal stop at the pastry Peratoner, the oldest of the city and famous for its desserts and then a stop at the shopping center “Emisfero”. What are you waiting for? Contact us now to book your holiday in our villages!